UN Envoy in Aden, What Will Happen Next? 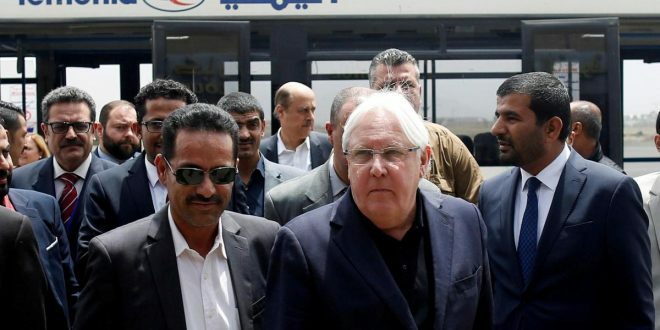 The United Nations international envoy to Yemen, Martin Griffiths traveled to Aden on Friday after Amman talks between the Yemeni parties to the conflict on the exchange of prisoners, which one of the provisions of the Stockholm Agreement. “Martin Griffith headed to Aden after concluding the Amman consultations on the exchange of prisoners, and he will be visiting Sana’a afterwards,” local media said. The city of Amman has hosted consultations for days on the exchange of prisoners, but the parties have not reached an agreement. According to the leaked information, the parties may meet again in order to reach an understanding regarding the exchange of prisoners and corpses. As well as this war has made three-quarters of the population in need of humanitarian assistance and pushed the country to the brink of famine, while the United Nations has considered the crisis facing the Arab country as the worst in the world.